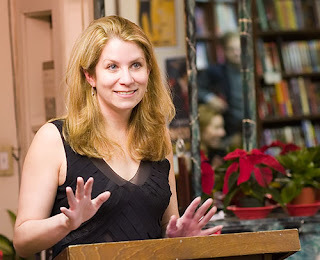 The Compulsive Reader: Interview with Jennifer Sturman! TCR: And Then I Found Out the Truth finds some characters traveling to Buenos Aires, Argentina--have you been there yourself? 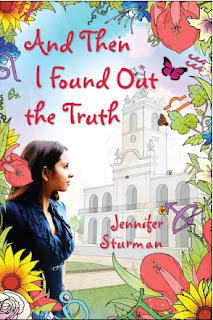 Jennifer Sturman: I probably shouldn’t admit this, but no! I’d planned to do a research trip, but the rest of my life got in the way, and the next thing I knew my deadline was too terrifyingly close to allow for a quick jaunt to another continent. The good news was that I have an incredibly kind and generous friend who lives in Buenos Aires, and he seemed to actually enjoy things like helping me map out chase scenes and then providing a block-by-block description of what my characters would be dashing past. TCR: There are so many elements in the mystery that Delia is trying to solve; was it difficult to keep them all straight while writing the novels? JS: Absolutely. Yet another thing I probably shouldn’t admit is that I didn’t have the entire two-book plot sketched out before I started writing. I like to have a high-level outline so that I have a general sense of where I’m going, but if it’s too detailed then I find I’ve written my characters into corners and there’s no room for them to act on their own. But when they act on their own, they begin introducing new plot twists that I didn’t anticipate. Then I end up having to do a lot of going back and checking to make sure everything still fits together (or fixing things so it does). And even so, details can fall through the cracks – and that’s where a good editor comes in! TCR: In my opinion, perhaps one of the best things about your books (besides Quinn and the kissing scenes, of course!) was Aunt Charley. Is she based off of someone you know? JS: So the third thing that I probably shouldn’t admit – since I have the feeling that you’re not supposed to play favorites with your characters – is that I think Charley’s one of the best things, too! My original inspiration for her was the title character in Auntie Mame, the book by Patrick Dennis that was the inspiration for Unraveled. Once Charley started talking, though, I completely lost control of her. There’s a point in Truth where Delia wonders if Charley even makes sense to herself sometimes, and that line was coming just as much from me as it was from Delia. TCR: What was the hardest thing about writing And Then I Found Out the Truth? The easiest? JS: The hardest part was that I couldn’t change anything in Unraveled while I was working on Truth. Since I didn’t have the entire plot worked out up front, I’d written some things into Unraveled that I ended up not wanting to use for Truth – but I was stuck with them! It was probably a good lesson for me, but it was also sort of painful while it was happening. The easiest part was that I already knew all the characters, so a lot of the time I could just set them in motion and they’d take care of the writing from there. TCR: Will there be any more YA books from you in the future? JS: I hope so! There are a couple of projects in the works, so please stay tuned! 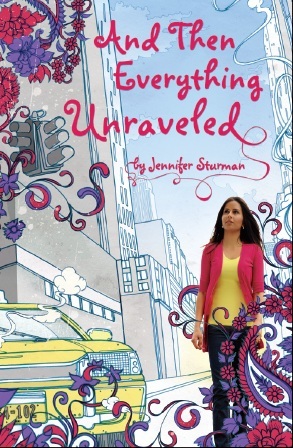 Check out Jennifer's YA books, And Then Everything Unraveled , and And Then I Found Out the Truth !